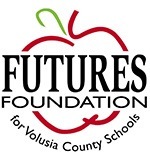 FUTURES Foundation for Volusia County Schools recently received $5,000 from the Bank of America Charitable Foundation Inc. to support the Volusia County Take Stock in Children (TSIC) scholarship & mentoring program for at-risk high school students. TSIC scholars are selected based upon financial need, academic achievement, good character and community involvement. They have the benefit of mentors working with them throughout their high school years, as well as the support of Volusia County TSIC Student Services & Mentor Coordinator Shimene Shepard and College Success Coaches Justine Florez and Laura Reece, to ensure they graduate successfully from high school and are prepared for and enter college. TSIC scholarships are funded through community and individual donations such as Bank of America Charitable Foundation’s recent investment and currently are matched dollar for dollar through the Florida Prepaid College Foundation’s Stanley Tate Project STARS (Scholarship Tuition For At-Risk Students) Scholarship Program. 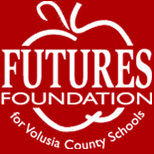 The Volusia County TSIC program typically awards a four year college tuition scholarship purchased through the STARS Program. Mentors are being recruited for TSIC students and anyone interested in volunteering 30 minutes each week on school campus should contact Student Services & Mentor Coordinator Shimene Shepard at sashepar@volusia.k12.fl.us or 386-255-6475, ext. 50724. Pictured are, left to right: David Suellau, Bank of America SVP/Relationship Manager, Volusia County Schools Superintendent Tom Russell, FUTURES President Paula Gregory, Bank of America Market Manager/Senior Vice President Karen Jacobs, and Volusia County School Board Chairman Linda Cuthbert.